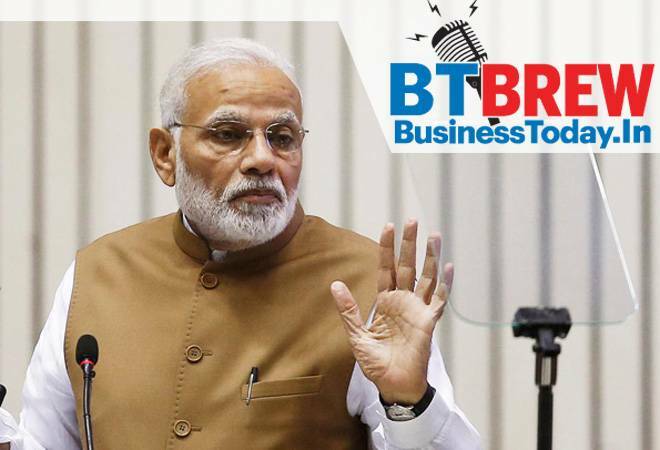 India's ruling Bharatiya Janata Party (BJP) is confident of doing well at this year's general election despite the party's recent losses in state polls, Prime Minister Narendra Modi said in an interview with Reuters partner ANI on Tuesday. Modi said it was more important to focus on his government's achievements, including the introduction in September of a new healthcare scheme for the poor. IT ministry officials are planning to meet on January 5 legal experts and those advocating privacy to discuss proposed changes in social media rules, amid concerns over privacy and free speech.The government proposes to amend the information technology (IT) rules to curb "misuse" of social media and online platforms, and the IT Ministry on December 24 released draft changes that would require such 'intermediaries' to enable tracing of originators of information when required by authorised government agencies. The government on Tuesday appointed Life Insurance Corporation's (LIC) senior-most Managing Director Hemant Bhargava as the insurer's interim chairman, in place of V K Sharma who retired on Monday. Meanwhile, the government has already initiated a process to select the regular chairman and managing director of LIC. Prime Minister Narendra Modi on Tuesday cleared the air on the resignation of former RBI governor Urjit Patel, saying Patel himself requested to step down, and that he was thinking about quitting for the past 6-7 months. "I am revealing for the first time, he was telling me about it for past 6-7 months before his resignation. He gave it even in writing. No question of political pressure. He did a good job as RBI Governor," said the Prime Minister during an interview with news agency ANI. The government has notified new annual GST return forms, which are required to be filed by businesses registered under the Goods and Services Tax regime by June 30, 2019. In the annual return forms, businesses have to provide consolidated details of sales, purchases and input tax credit (ITC) benefits accrued to them during the 2017-18 fiscal. Trade Unions have demanded universal social security and a minimum monthly wage of Rs 18,000 with indexation across India under a 20-point agenda. The agenda, which called for universal social security coverage for all workers in the country through the retirement fund body EPFO and Employees' State Insurance Corporation, was approved on Monday at the national convention of the Confederation of Central Trade Unions (CONCENT).